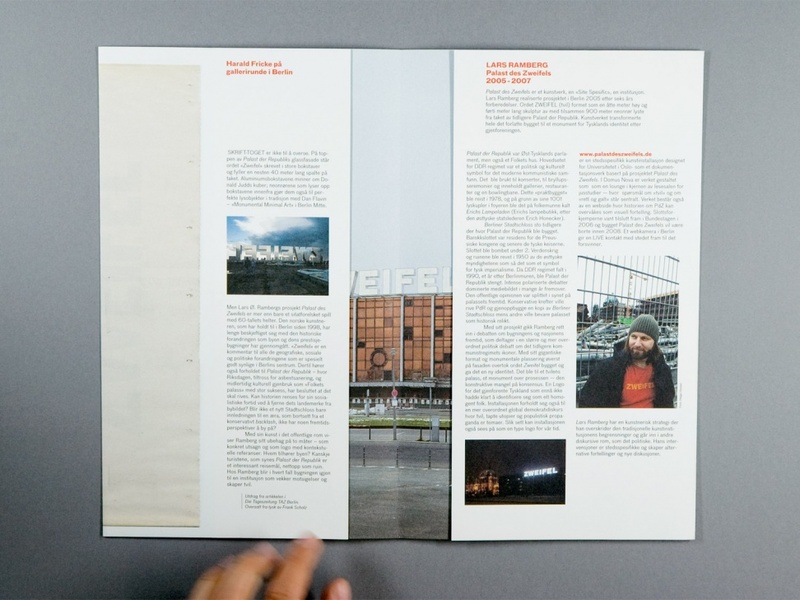 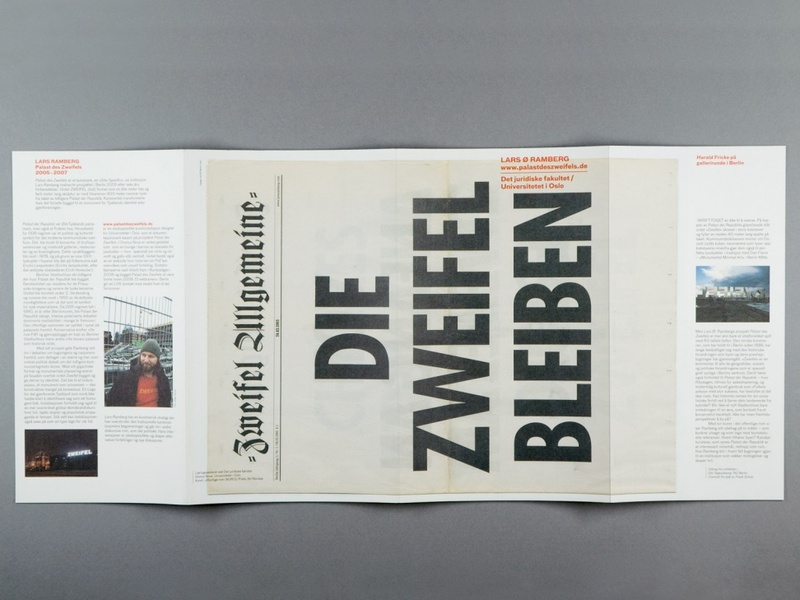 Visual artist Lars Ramberg asked us to create a newspaper for the exhibition of his installation on the Palast der Republik in Berlin. 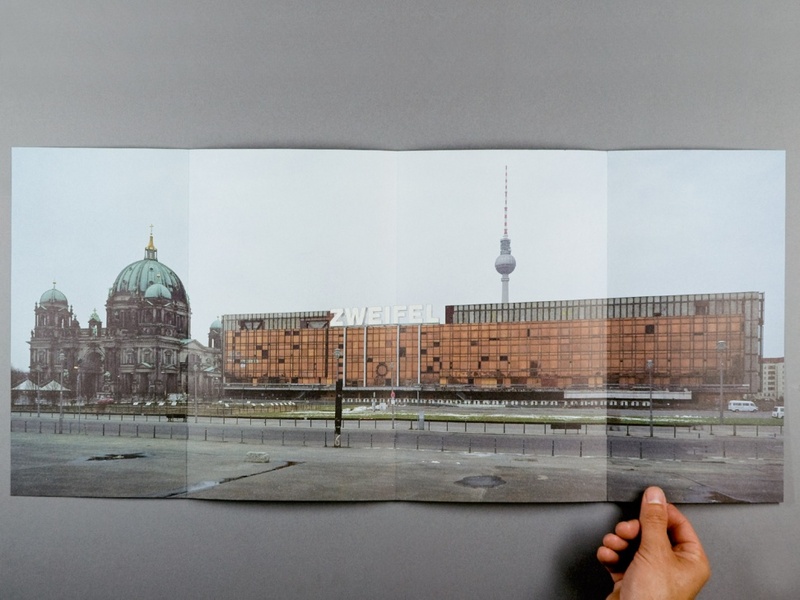 The installation consisted of six-meter-high neon letters spelling out the word ‘ZWEIFEL’ (doubt) on the former East German parliament building. 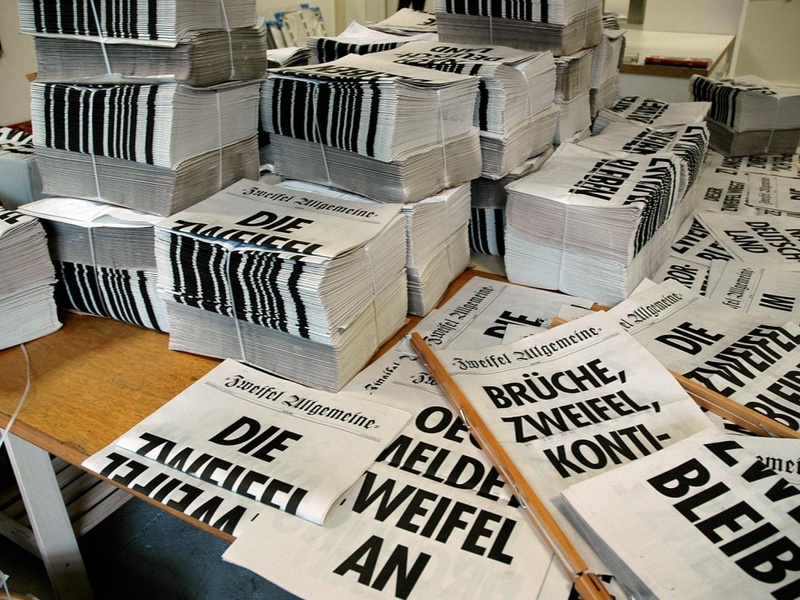 Since Ramberg had been collecting newspaper articles with the word ‘Zweifel’ in the headline during the time of the installation, our proposal was to make a newspaper using only these headlines.